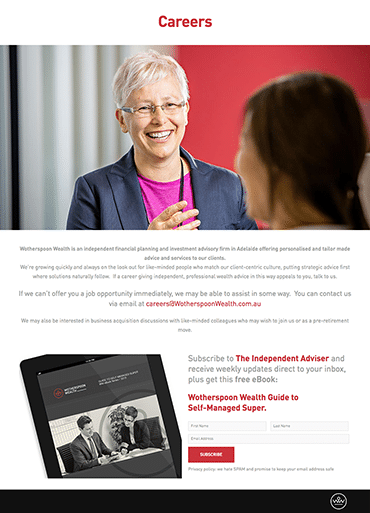 A leading Independent Financial Planner in South Australia, Wotherspoon Wealth (formerly Astute Investing) came to Fig Tree Digital to help them in their online transition to a new name and new identity, Wotherspoon Wealth. 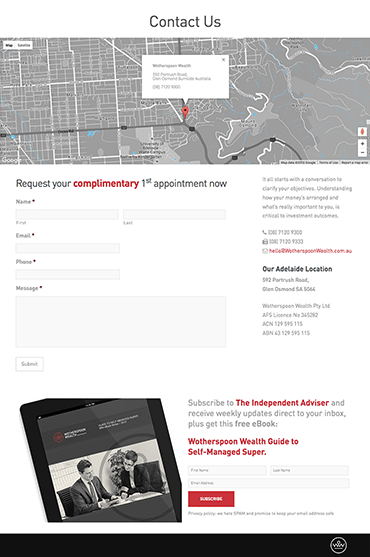 The practice wanted to bring their change of brand to life in the digital environment with an industry-leading mobile responsive website. 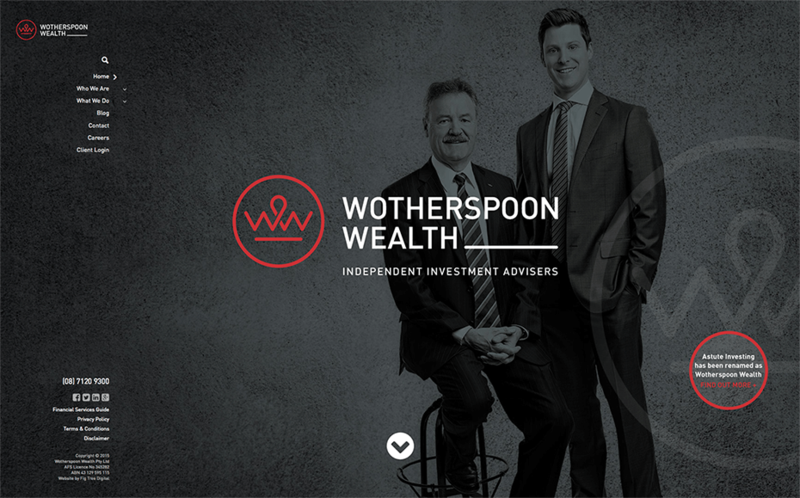 Fig Tree Digital worked closely with Wotherspoon Wealth to identify their target audience, delivering process and communication enhancements to identify, capture and create a data-base of relationship-based clients. We provided insights and recommendations within digital design, development, data analytics and SEO. There was a 64% increase in website traffic and 43% increase in website session duration (over a 7 week period). 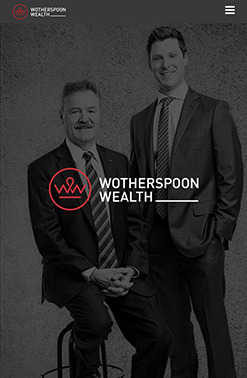 The newly designed and developed Wotherspoon Wealth website quickly gained the attention of their existing clients and nominated target audiences and was received with overwhelming support and positive feedback.